Home / Blog / Wild Atlantic Way / Great Western Greenway / Can I walk the Wild Atlantic Way route? Yes, you can. The actual Wild Atlantic Way route is marked a driving route, covering over 2000kms of coastline along the West of Ireland. 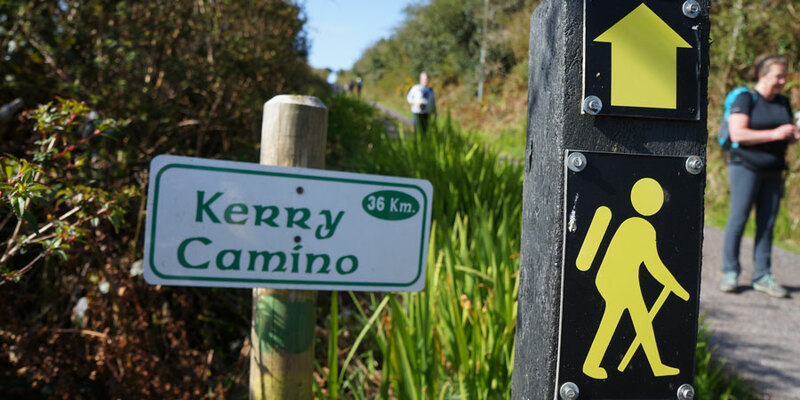 The route is well marked with the distinctive Wild Atlantic Way blue logo. From Kinsale to Derry, we have divided the Wild Atlantic Way in manageable sections ranging in duration from 5 to 8 days. You can also choose to cycle part of or the whole Wild Atlantic Way route if you like. Cycling the whole Wild Atlantic Way will take you approximately 55 days. When you are cycling, you will be mainly following the Wild Atlantic Way signs. While walking these routes you will be following specific route markings and the walking yellow man (pictured), as opposed to the Wild Atlantic Way markings. The Beara Way in the Beara Peninsula. The Sheep’s Head Way from Bantry, in West Cork. A remote route with peaceful trails and beautiful scenery all around. On this walking route you are never far from the waves crashing against the shore. The terrain varies from grassy paths to quiet country roads. Top attractions along the Sheep’s head Way include the old Copper mine, the 6th Kilnurane Standing Stone, wildlife and ancient churches. The Kerry Way taking in the beauty of the Ring of Kerry. The kingdom of Kerry is famous around the world for it’s friendly communities and vast green landscapes. Starting and finishing the route in Killarney is a bonus. Here you have the chance to sample the popular Irish traditional music sessions that fill the pubs every night. The Dingle Way in the Dingle Peninsula, including the Kerry Camino from Tralee to Dingle. 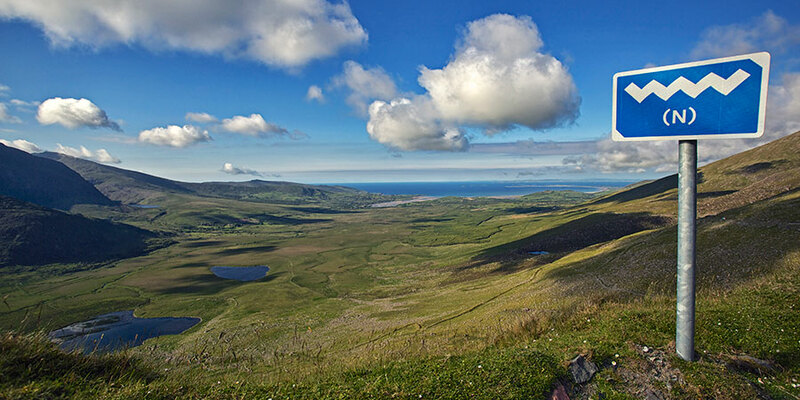 On this trail you will walk around the beautiful Dingle Peninsula. From epic mountain views to rolling hills to dramatic cliff edges, this route has everything to offer the budding adventurer. You find a golden beach at Inch beach and some outstanding archaeological sites along the way. Be sure to stop by the South Pole Inn in Annascaul where you will find a shine to Tom Crean, the local Antarctic explorer. The Burren Way where you will hike to the famous Cliffs of Moher. Walking alongside the famous Cliffs of Moher will take your breath away on this beautiful walking route in Co.Clare. 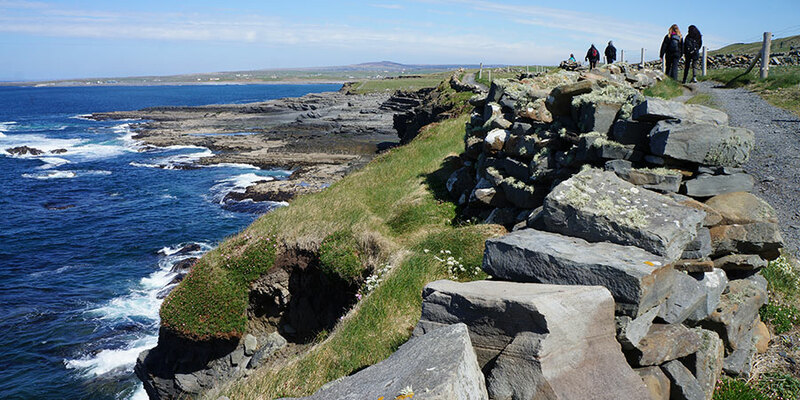 Have a dip in the ocean after a long day on the trails, sip a creamy pint of Guinness in the charming town of Doolin and visit the Burren Smokehouse for a taste of Ireland. The Aran Islands, always fascinating. Get off the beaten track with this wonderful walking route. After a lively night in Galway City you will get the ferry to Inishmore Ireland where you can enjoy a looped walk around the Island. With the remnants of history all around you won’t be short of things to see and do on the Islands. Beautiful beaches, blow holes and delicious seafood will be fond memories of your time on the Islands. The Western Way from vibrant Galway to Westport. Enjoy up to 6 nights in the scenic region of Connemara with this tour. There are plenty of things to see along the way, including the Maumturk Mountains, Lough Inagh Valley, learn a few words of Irish as you walk through the Gaeltacht region and finish in the lively town of Westport. The Bluestack & Sli Cholmcille Way following old pilgrim paths in County Donegal. Hi Aaron, it sounds like a very worthy and interesting challenge. As you mention, the Wild Atlantic Way follows roads so it might be better to cycle it, if you’d like to follow it Wild Atlantic Way all the way. Otherwise, if you are keen to walk it, we would suggest following marked walking routes where possible, such as the Beara Way and Sheep’s Head Way in West Cork, the Kerry Way/Dingle Way in County Kerry and follow the Burren Way from Lahinch to Ballyvaughan, as well as a section of the St Colmcille Way in Donegal, we hope this helps: http://irelandways.com/tours-in-ireland. We are closing applications for the Greenlife Fund, which might be of interest: http://irelandways.com/about-us/responsible-travel. Kindest regards. I’ve recently returned from south east Asia and wish to continue travelling in my own country. 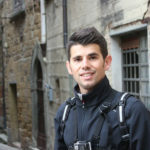 My friend and I are seriously considering walking the wild Atlantic way (the whole route, north to south) for charity. We’ll both select charity’s that we care for, raise money and split the costs, divided between the two charity’s equally. We’ll support ourselves, but we will take any sponsorships that are available in the form of accommodation and food. We’ve researched the distances and we estimate it’s over 2000km. It should take us two and a half months. We are aware most of the wild Atlantic way is roads. We don’t mind walking roads but I’m sure there’s places where there’s more suitable roads or walkways available. If you could advice us anyway we’d appreciate it. Ps: this is an idea and not a fact yet, we have just begun talking about it and are just researching. Aaron Moroney & billy Lyons.